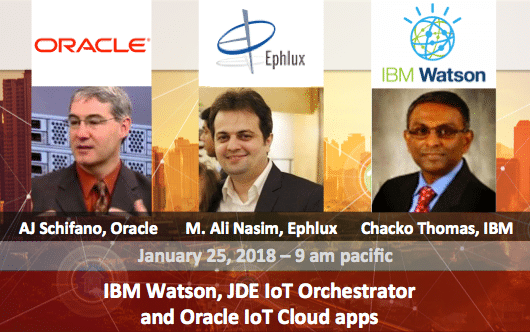 Ephlux is bringing its end-to-end integrated customer experience and Internet of Things industry solutions that leverage Oracle CX Cloud apps (Oracle Sales Cloud, Service Cloud and Field Service Cloud) and Oracle Internet of Things Cloud for the NetSuite customers. Oracle Service Cloud is an industry leader for cross-channel customer experience through customer service excellence. Bringing Service Cloud in the customer service mix can be a game-changer for for NetSuite customers. NetSuite as the the leading ERP cloud solution married with the leading customer service in the cloud can bring strong competitive advantage. Oracle Field Service Cloud (TOA) is the industry leader when it comes to mobile workforce management. Ephlux has built integrations of Field Service Cloud with multiple ERP and CRM applications with integrated Internet of Things for predictive maintenance. 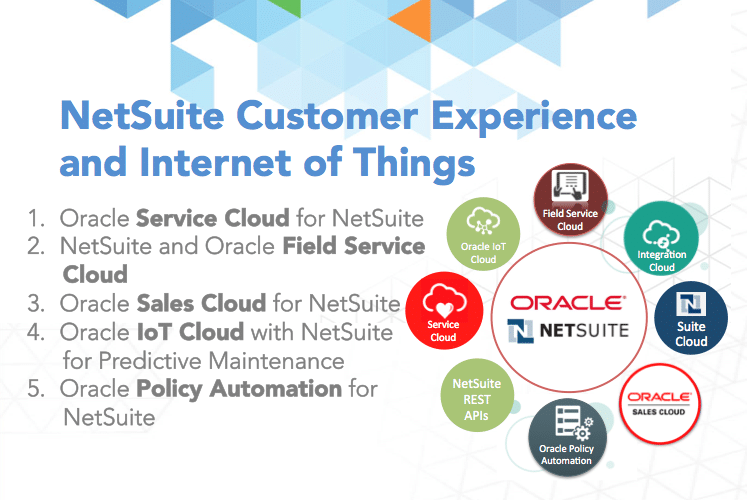 Bringing the same integrated suite of Field Service Cloud and Internet of Things to NetSuite customers is a strong value proposition. Closing the loop between the world-class sales force automation solution from Oracle and the sales order management in the leading cloud ERP – Oracle NetSuite -can shorten the sales cycle by reducing duplication, error-prone and expensive process of manual entries, improving analytics and reporting and empowering your mobile salesforce with all they need to be successful. Centralizing all your business policies across all the functional modules of the ERP as well as your CRM, warranty management, depot & repair and field service operations can make your operations extremely agile. Ephlux has integrated Oracle Policy Automation with other Oracle CX Cloud apps, Internet of Things and now integrating it with Oracle NetSuite to bring all those benefits for NetSuite customers. As part of Oracle IoT Customer Advisory Board, Ephlux is at the cutting edge of building industry solutions using Oracle IoT Cloud Service and integrating it with ERP and Customer Experience applications. We have implemented IoT across the digital field service, remote asset monitoring, predictive maintenance and similar use-cases. We’re bringing the power of all of those solutions right into Oracle NetSuite.